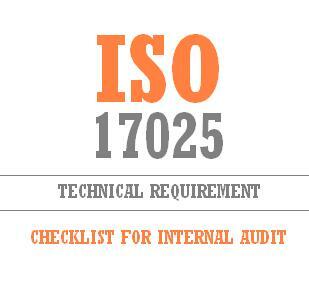 ISO 17025 – Internal audit checklist defines a description information of QMS internal audit check list to comply ISO 17025 technical requirements. The document covered all processes are in scope of ISO 17025 – technical requirements. Is there a defined Quality Policy Statement? Does the Quality Manual define the scope of the QMS including details and justifications for exclusions? Does the Quality Manual include documented procedures for the QMS or provide reference to them? Does the Quality Manual describe the interaction between the processes of the QMS? Is a documented procedure available for control of documents required by the QMS? Is there a distribution list for documents that are circulated as hard copies or in CDs / diskettes? Do all hard copies / CDs bear the remark ‘Controlled Document’ and the indication of originating site / authorized person? Is there a master copy of all valid documents / forms available? Do all documents/forms in use show the correct version number as indicated on the master copies? Do documents that need control for a limited period indicate the validity date? Are all requirements for changes sent to QSD? Are changes to documents handled as described under para 3.5 – ‘Mechanism of change’ of the regional document control procedure? Are obsolete documents taken out from points of use and suitably marked to prevent their unintended use? Are standards and specifications checked for updates and validity? Are local procedures / work instructions / forms referenced as per work instruction? Are records suitably referenced for easy identification and retrieval? Are records securely stored and protected against dust, rodents, humidity / fungi, flood, heat, or any other source of damage to ensure legibility throughout retention? Is the integrity of records checked during internal audits? Is the retention period for records defined in the Record Retention Matrix? Are records disposed of after the stipulated retention period mentioned in the records retention matrix? Are samples inspected on receipt for their condition or contamination? Are the containers used to store samples suitable to the specific samples? Do all samples have clear identification for easy traceability to the respective jobs? Do the sample tags / labels have the minimum details as under para 3.5.5 of work instruction? Are all received samples properly registered in a sample log / register? Are samples stored in secure premises? Are adequate arrangements made / precautions taken for samples which have special storage requirements? Are samples stored taking into consideration the nature of the samples in order to prevent contamination or other potential hazards caused by incompatible materials? Is authorization available for samples to be disposed? Is a record of disposed samples updated in the sample register? Is sample disposal carried out as per sector specific procedures? Is there a Quality Policy defined by the top Management? Are all personnel aware of the organization’s Quality Policy? Are Quality Objectives measurable and in line with the Quality Policy? Is a responsibility Matrix defined in the branch? Are alternatives deputies defined for key positions? Is a Branch Quality Coordinator appointed with defined job responsibilities? Is there a monthly reporting from the Branch Quality coordinator to QSD? Are guidelines and other communication received by the branch effectively communicated to the concerned personnel? Are management reviews planned and conducted on a monthly basis in the branch? Does the Management Review cover the agenda described in the Regional Management Review procedure? Are the minutes of the review sent to QSD for further review? Are actions for the improvement and effectiveness of the QMS defined in the Minutes of the Management Review Meetings? Are responsible personnel and time frames for actions defined? Does the branch administration / HR maintain personal files of all employees? So all personal files contain the personal data form? Are the required qualification records required for the employee available? Are training attendance sheets and any certificates (if applicable) of training conducted for employees available? Is the capability matrix available? Are employee expertise levels defined in the capability matrix in line with the education, training or experience of the employee? Are inspectors assigned to jobs as per expertise defined in the capability matrix? Is skill / competence evaluation of an employee made after appropriate training? Is the capability matrix updated according to the skill evaluation made after training, or on a periodic basis? Is the capability matrix updated every 6 months? Are the buildings, workspaces, associated utilities adequate to meet the work requirements? Are necessary equipment and supporting services like communication etc, available? Is the work environment monitored and controlled as may be required? Where required are incompatible activities separated? Is access controlled where required? Are emergency exists and assembly points clearly identified? Are all employees aware of the Company’s Safety Policy? Are inspection / test methods defined to meet the service requirements? Is contract review carried out for each order? Are any discrepancies in the review notified to the client? Are customer requirements related to the job clearly established? Are any requirements differing from those previously expressed or standard are resolved? Are availability of sufficient resources and capability for accurate & timely completion of the job ensured? Does the review take into consideration any statutory, health & safety, environmental issues that may be applicable? Are any implied requirements clearly communicated to the customer? Are any changes / modifications to the contract reviewed against the previous documents? Are any deviations from the original agreement clearly informed to the customer? Is confirmation for proposal obtained from the customer? Is the client kept informed of the job progress if required by the contract? Is all client feedback / complaints duly acknowledged? Are there approved requisitions for the purchases made? Are potential suppliers evaluated for conformity to supply requirements? Are supplier appraisal forms available? Is a record of approved suppliers? Are purchase orders made for the required supplies and duly authorized? Are purchase orders followed up and monitored for delivery? Is supplier performance monitored and where applicable, the supplier appraisal updated? Is the incoming material verified for conformity to quantity and quality requirements before issuance for use? Are non-conforming goods segregated and clearly marked to prevent unintended use before rectification / replacement? Is declaration obtained from all suppliers who are applicable as per para 3.5 of the purchasing procedure? Are all subcontractors evaluated to ensure that service provide provided conforms to the requirements? If any job is needed to be subcontracted, is the necessary advice given to the client? Is there a record of approved subcontractors? Are verbal orders suitably recorded? Are all files uniquely numbered for identification? Is the job order log / register updated with each job file? Are necessary procedures / work instructions standards, etc required for the job available? Is an inspection job schedule maintained? Are job instructions briefed to inspectors? Do inspectors confirm having received and understood the job instructions? Where applicable, is validation of test methods done? Are all received samples recorded in the sample register? Are samples coded before sending to the lab for analysis? Are all relevant documents in a file clearly identified for traceability to the file? Is the use of any customer equipment for the job or witnessing of operations at customers’ facilities duly noted in the report? Are all jobs monitored against key control points where applicable? Are draft reports / certificates / debit notes made and vetted for accuracy before final issuance? Are job files checked for completeness and receipt of fees before closure? Are all monitoring and measuring devices maintained in a good condition? Do all measuring / testing instruments have valid calibrations and is calibration status clearly indicated on the instruments? Where applicable, are the instruments used by personnel who are trained and authorized? Is the status of calibration and condition of any client owned / provided instrument verified and duly mentioned in the report? Are records of calibration maintained? Are the calibration certificates traceable to relevant national / international standards? Are instruments stored in suitable condition to prevent damage or deterioration? Are feedback forms sent to clients? Is feedback received from clients (even other than feedback forms) suitably recorded? Is the feedback received from clients analyzed to establish performance trends? Are results from client feedback reviewed for improvements? Are client contact reports available? Are client contacts made to obtain feedback from existing clients as well as to check potential business opportunities? Is further action taken in the context of the client contact reports? Is a documented procedure for internal audits available? Is there an approved internal audit plan? Are internal audits conducted against a defined internal audit checklist? Are internal audits conducted by auditors independent of the areas being audited? Are field audits conducted as per plan? Are all inspectors covered by field audits? Are file audits conducted as per sample size mentioned in the quality objectives? Are all audit reports prepared and reviewed at Management review meetings? Are internal checks / vetting carried out necessary stages during the execution of the job? Are any discrepancies / areas for improvement note during the checks subjected to corrective / preventive / improvement actions? Are all drafts vetted before issuance of the final report / certificate, etc.? Are final reports / certificates, etc. approved for release to clients by authorized signatories? Is a documented procedure for control of non-conforming product available? Is a CAR form prepared for any non-conformity detected? Is a root cause analysis done of the non-conformity? Where applicable, is the non-conforming material segregated and suitably identified to prevent its unintended use before rectification of the non-conformity? Where non conformity is detected, is the affected client(s) contacted unless the remedial action does not result in loss of quality of service or delay? Are all client complaints recorded and CAR prepared? Are replies to client complaints made in consultation with the Branch Manager and Branch Quality Coordinator and where applicable with the Business Manager and NQM? Is a documented procedure for Corrective Actions available? Is a CAR prepared for any non-conformity detected? Is the CAR reviewed to find the root cause of the problem? Are proposed corrective actions reviewed and approved by the concerned managers / authority? Is the corrective action time bound and its implementation monitored? Is a CAR log / register maintained to follow up the status of CARs? Are CARs closed after verifying the effectiveness of the corrective action? Does the CAR form provide objective evidence of the verification of the corrective action? Are copies of closed CARs distributed to all concerned parties? Is the CAR log / register updated to show the status of open / closed CARs? Is a documented procedure on preventive actions available? Are areas for potential non conformities reviewed during the BQC meetings? Are proposed preventive actions reviewed for feasibility and approved for implementation? Are approved preventive actions monitored during implementation and verified for effectiveness?